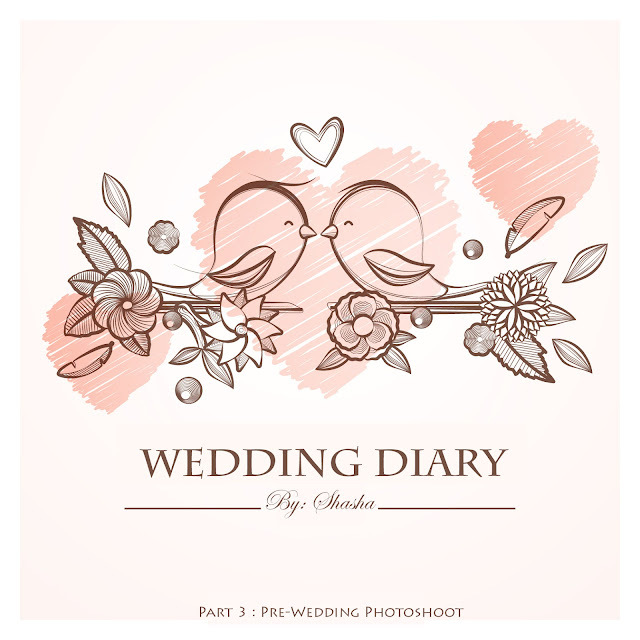 Here comes the third diary about my wedding preparation. Now I will talk about my pre-wedding photoshoot. We (BF and me) decided to shoot our pre-wedding pictures in Hong Kong and Macau (That was the reason why I went to HK few months ago). Why choose HK? well, both of us not really like beach / scenery like mountain, green grass, etc. We are more fond to city view, buildings with many colourful light, and things like that. That's why we decided Hong Kong and Macau as our destinations. When we decided to go on March, I've consulted with our photographers first. And they said March is quite good, the weather usually already warmer and less rain. Turns out the weather forecast was wrong~ see my HK post to read more about the cold weather. I never done any outdoor photoshoot before, and now I'm a little bit scared to do one after my pre-wedding photoshoot hahaha. The weather went crazy on the day we took our pictures. It was raining all day and the temperature drop to 10 degree celcius. The most warm temperature that we got is around 15 degree celcius. Now imagine this, me wearing a cute mini dress, pose in the middle of the road, many peoples are stared and maybe thinking "wth this girl doing in the middle of the rain and in this cold weather???" hahaha~ I was freezing to the extent that I can see my finger trembling and my skin become purple. Tired Face after a full day photoshoot~ Ignore my messy hair because I've already comb it but, make up still on point! Love it~ PS: I'm wearing EOS Crystal Grey for my softlense and super love it! use it all day and I don't use any eye drops at all but it doesn't makes my eyes dry or I have any problems with my eyes after that. FYI the weather is superr cold and dry but I didn't feel like wearing anything on my eyes. Super recommended! Full of fog! So sad, because I can't see the macau tower.